Wouldn’t it be nice to control your lights when you pull up to your house late at night or when you’re settled in bed and see that you forgot to turn off your yard lights? How about when your garage is dark, and the light switch is on the opposite wall? We’ve all stubbed a toe or two trying to make our way over to a light switch in the pitch black. The Pico Wireless Control gives you the flexibility to set the perfect lighting for any activity, from anywhere in your home. 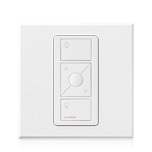 There’s even a “favorite” button to save your ideal dimmer level. 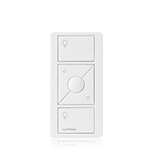 The Pico Wireless Control is compatible with a wide variety of lighting. It is can be used as a handheld device, wall mount, tabletop control, or even a remote to keep in your car. 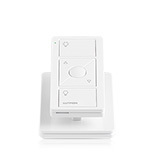 The wireless control provides convenience and versatility without having to pay additional wiring or installation charges. Want to learn more? Milton Electric is here to help. Give us a call to see if the Pico Wireless Control is right for you: 1-800-782-1092.